Bluebottle Beer® is a seductive blend of lifted aromatics, bitterness, and a citrus sting to enhance the flavours of the sea. It’s an award winning boutique beer crafted to perfectly complement but not overpower the delicate tastes of seafood. 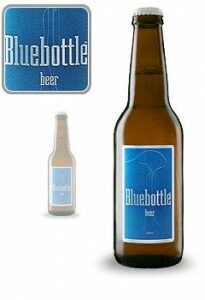 Bluebottle has an aroma of malt, hops and lemon with a tinge of sweetness. It is pale gold in color when poured. This is perfect to complement seafoods or for the summer season.